Steven Spielberg’s 1982 E.T. : The Extraterrestrial is one of the most beloved movies of all time. To me, it was too much of a sappy popcorn flick, but it’s still a classic. 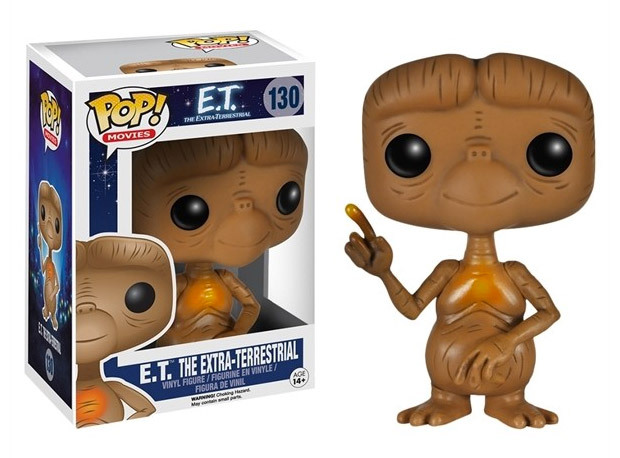 Funko has some good news for E.T. fans, with the introduction of its first E.T. Pop! vinyl toys. Choose from E.T. 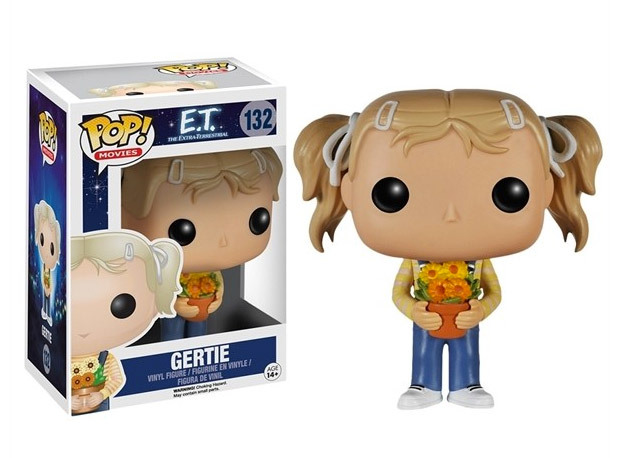 himself, Elliott with a bag of Reese’s Pieces, or Drew Barrymore’s sticky-sweet Gertie – complete with her flower pot and pigtails. 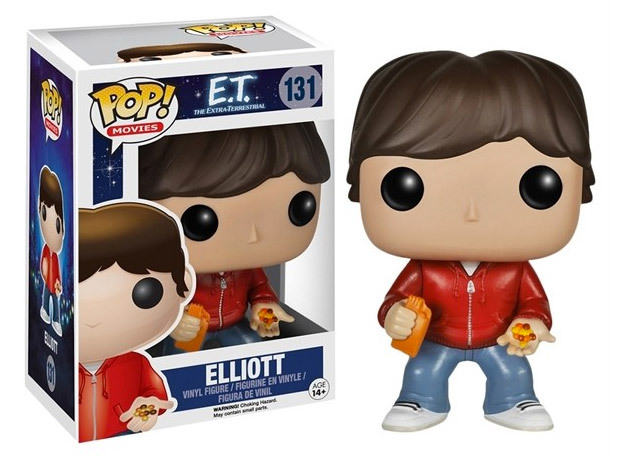 Frankly, I find the Funko version of E.T. much more endearing than the one in the movie. Sorry, Steven. All three figures ship later this month, and sell for $10(USD) each. Actual Reese’s Pieces sold separately.